Sushi rice recipe I’ve followed over the years. 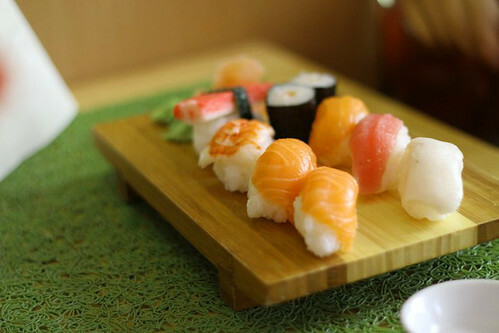 Japanese rice tends to be sticky compared to other rice grains that’s why its ideal to use it so they don’t fall apart. 1. Pour rice into rice cooker. Wash it as you would wash normal rice. Pour 3 1/4 cups water and cook. 2. 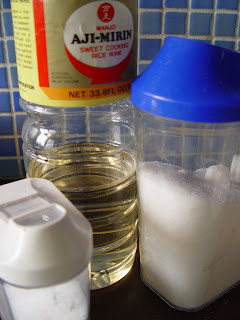 In a pan, combine rice wine, sugar and salt. Put pan on low heat and stir until sugar dissolves. Cool the mixture. 3. When rice is cooked, put it on a large plate and pour the vinegar mixture over and mix evenly and carefully with a wooden spoon.